SKIN CARE PROVIDER OF THE YEAR!!! Congratulations to former LJIC student for winning Massage Heights’ national award given to their Skin Care Provider of the Year. Wow. La’ James International College would like to salute former student, Doree Henderson. 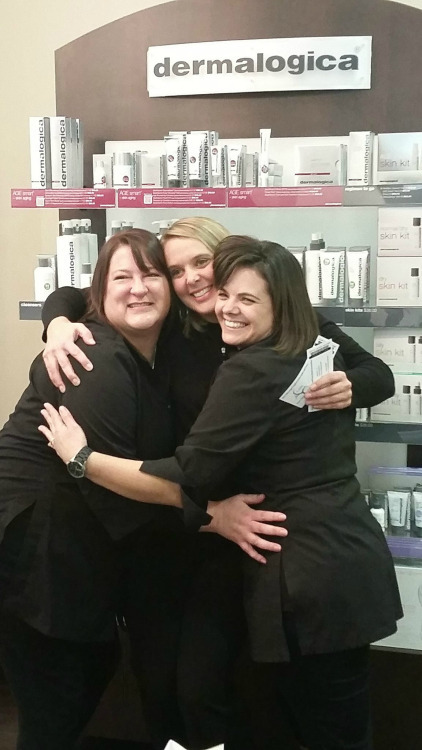 The LJIC graduate was recently honored as Massage Heights Skin Care Provider of the Year. 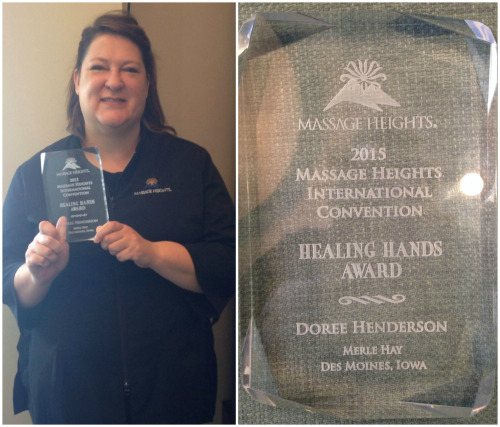 Doree took home the award after being nominated by Massage Heights franchise owner Amy Dollison. She was chosen as the winner over nominees from the other 120 locations situated around the United States and Canada. “I feel so lucky to have accomplished so much in my new career already,” says the outstanding esthetician. National awards aren’t won without a lot of hard work and skill. It’s unlikely that luck had anything to do with it. Doree chose LJIC for her training due to their professional environment and top notch facilities. She also liked the wide array of products they taught their students to use. 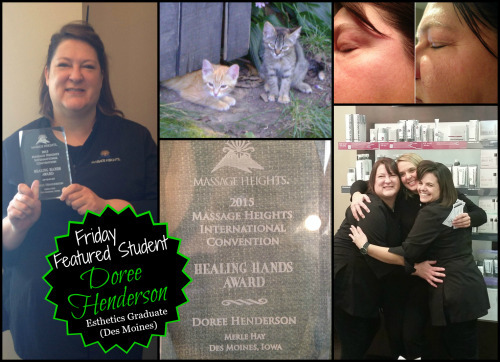 Doree has worked at the Des Moines Massage Heights in Merle Hay Mall since October of 2013. She loves the atmosphere she gets to work in everyday as well as helping people feel better about themselves and how they look. She says that the most rewarding part of her job is helping people with acne get their face cleared up, especially when the’ve already tried everything else. 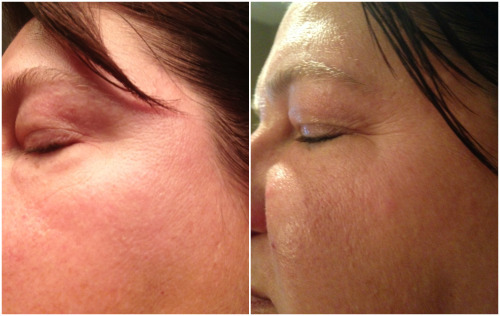 “It just proves that estheticians can make a difference,” she says. Doree is a mother, a wife, a pet owner and loves science fiction. She lives in Des Moines and her son recently enrolled in LJIC’s Massage Therapy program. And now, she owns an award too.